The world of job seeking can be all consuming for college graduates and has certainly changed from your parent’s generation. Your parents did not apply for jobs online and were not faced with having their background researched on Google and social networks. They also did not have social media as a tool in the job search. Now students who want to get a job after college are leveraging LinkedIn. Upwards of 90% of all recruiters and hiring managers use LinkedIn to find qualified candidates. 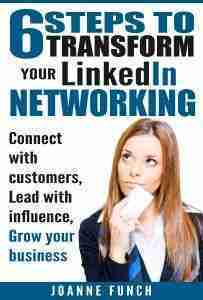 LinkedIn is the #1 social networking site for professionals so leveraging LinkedIn makes sense. Creating a great profile does not guarantee you a job, but it will get you noticed. Whether you invest in hiring a professional to develop your profile or you invest time in learning the components of writing a great profile either will elevate you as a professional highlighting your accomplishments, activities, experience and character. While you might be tempted to upload your latest selfie to your LinkedIn profile remember this – if you want to be taken seriously it is time to get a professional photo. There are many resources and levels of prices so check your local city for photographers that specialize in headshots. I suggest you search for them on LinkedIn, learn about the market they serve and read their recommendations. If you want to be taken seriously as a professional, you need to look like a professional. Ask the photographer for tips based on the industry you are targeting. The right image can make your LinkedIn profile stand out. Be creative, this could include a one-minute video of you talking about who you are and why someone should interview you. Create a slide presentation of your accomplishments, volunteer activities and other things that an employer would be interested in, then upload it to your profile under the summary section. LinkedIn will then ask if you want to add it to Slideshare, which is owned by LinkedIn which you will want to do. This will give you added exposure. Be sure your slides have your contact information to make it easy to get ahold of you. Next to your name you want to craft a headline that is interesting and captures attention for the reader to learn more about you. There is a 120 -character limit so make it count. I suggest your headline include what you are doing now including keywords for the job or industry that will help you get found in search and what you hope to do or what position ideally you are looking for. Next to your headline your summary section is the most important real estate in your profile. This is where you have 2000 character tell your story in greater detail than the bullet points on a resume. Start by writing in the first person because it is more believable and friendly giving someone a real sense of your personality. Describe what motivates you, what you’ve done in and out of school, what you are skilled at, and what makes you unique. Prospective employers want to know if you will be a good fit in their organization coupled with your skills. Add images to this section that show your personality along with something you have done. Crafting an effective LinkedIn profile requires key word strategy in addition to creative writing. No one knows exactly how the LinkedIn algorithm works, but we do know that the program is searchable by key words. These are words used to describe your skills and that employers will use in their job descriptions to vet candidates. You will want to research the keywords you want to be known for and those that will land you the ideal job. I suggest you search jobs and study the words used in the ad to describe the skills required for that position. Keep a spread sheet of keywords and notice how often the same keywords are used in job listings. Companies want to know who you are as a person and they can start to earn about your character in several ways. The ‘Volunteer and Causes’ section should be added if in fact you have ever volunteered your time and talent. Including this in your profile is very telling and an additional place for you to shine. By listing the causes you care about can be relevant to companies who are very philanthropic and want employees that are like-minded. 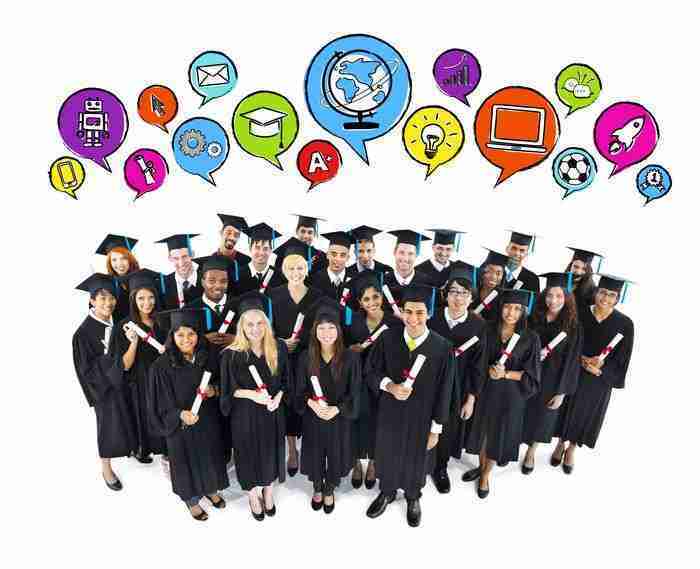 Additionally, learn how recruiters use LinkedIn to find college graduates with talent. Once your LinkedIn career profile is complete and optimized with your key words. 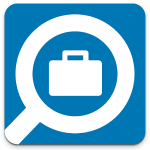 Access the job tab and start searching for positions by title and key word. You can save jobs you are interested in and get back to them later, you can also create job alerts and LinkedIn will let you know when new results match your search criteria. Pay attention to the job LinkedIn automatically shows you in the side bar and also the jobs tab. They will automatically show you jobs that reflect what you are interested in based on the key words in your profile. A great way to start making meaningful contacts is under the Alumni tab. You can start to build relationships with people who share your Alma mater. A useful strategy is to search your alumni for people who are in a profession and/or work for a company that interests you. You can easily open a door by saying you are also a graduate of XYZ University and see they work for ABC company and would they give you some tips on breaking into the business or tips on working for this company. When we share a commonality people are more likely to offer support. Also, who does that person know that they would be willing to make an introduction for you. With well over 50% of LinkedIn user now using the mobile APPS the trend toward mobile access is growing quickly. LinkedIn’s mobile APP had been upgraded for a simpler user experience. There is a new LinkedIn Jobs APP now available for iPhone and Android users making it easier and more accessible to stay on top of the job market. There are thousands of students graduating every spring and to get a job after college leveraging LinkedIn can raise you to the top of the pool if you implement some better skills and strategy. Start inviting people to your network of connections. Be intentional by inviting people you will want to network with now and in the future. Invite fellow students, professors, coaches and business professionals that can all help you land that ideal position sooner than later. Always create a custom invitation – versus using the default invitation when inviting people to your network. You will make a much more positive impression when you tell people why you want to connect with them than making them guess and taking the chance they will ignore your invitation request. Join LinkedIn groups whose topic is in the industry or specific field in which you want to work. A good place to start is looking for groups that are local in your city and then read the discussions, ask questions and make intelligent comments. People in groups are willing to help if you ask and can be a great resource in your job search. Pay attention to status updates from people in your network. Can you make a comment? Comments keep you top of mind; also shows you are an engaged professional. Click the ‘thumbs up’ like button will not give you the same result, so I caution the usage at all. Students who want to get a job after college leveraging LinkedIn will find this is time well invested in their future. Remember once you land your first job you will want to keep your LinkedIn profile updated and you will want to remain active on LinkedIn. As employers have become more social savvy so have employees and the efforts you make and maintain will serve you for years to come leading your competitors who have long left LinkedIn behind. 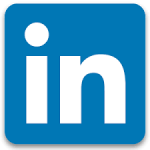 Download a free copy of the 10 Critical Rules to Leverage LinkedIn for Job Seekers. Thanks for the great post, JoAnne. I’m sending it to my on-the-cusp-of-graduating daughter. She might be more interested in your advice than in mine! Caryn, thank YOU. I’m sure she will be more open coming from a 3rd party!